Seven From Haven is a collection of short stories centered around the town of Haven, Pennsylvania. Haven is not your normal town. Strange things happen there that cannot really be explained. 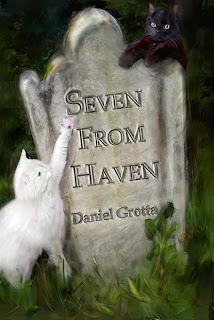 The stories in Seven From Haven are all separate from each other. The only thing in common is the town of Haven. It was perfect timing reading this in October because all seven stories are ghost stories. With a collection like this there is always a risk that there will be some weaker stories in the mix, and that happened here as well. A few of them just seemed to drag on more than the others and didn’t really have much going on. Then there were others that had a lot going on and read very quickly. The stories seemed to even each other out, and overall it was a pretty enjoyable read. If you like ghost stories, this may be of interest to you. 3/5 stars. Good writing, but there were some slow moments.